The first openly transgender judge in US history has officially been elected. Victoria Kolakowski, a 49-year-old patent attorney, won with 51% of the vote over deputy district attorney John Creighton, the Associated Press reports. The November 2 race had been too close to call because provisional and absentee ballots had yet to be counted. "We are absolutely thrilled that the people of Alameda County have elected Victoria Kolakowski to be their next superior court judge," Transgender Law Center executive director Masen Davis told The Advocate Tuesday. "We're fortunate that the voters judged Vicky on her merits." 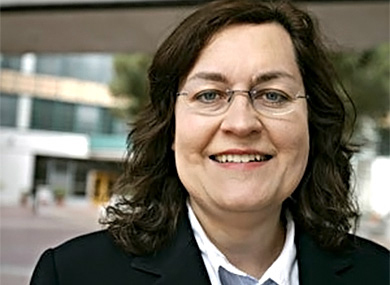 Prior to her election, Kolakowski served as an administrative law judge for the California Public Utilities Commission (administrative law judges are under the legislative branch of the government, not the judiciary). She was also cochair of the Transgender Law Center's board of directors. Kolakowski was one of several LGBT candidates supported nationwide in this election cycle by the Gay and Lesbian Victory Fund — candidates who included David Cicilline, the Providence, R.I., mayor who will be the fourth openly gay representative in the next congressional session.